Somewhat similar to the 1990, but slightly more structured, with more noticeable tannin and a meatier style, this is still a very perfumed, exotic, expansive, sensationally concentrated wine that should age effortlessly for another 10-15 years. In that sense, it might actually outlast the 1990, but what a pair these two wines make. The wine has a dark garnet/ruby color and fabulous aromatics of black raspberries, kirsch, licorice, and copious amounts of toasted new oak. Relatively full-bodied for a La Conseillante, with great purity, sweet tannin, but noticeable structure and muscle, this is a relatively large-scaled La Conseillante that has always been one of the top wines of the vintage. Anticipated maturity: Now-2020. Last tasted, 12/02. Having tasted the 1989 Château La Conseillante on more than a dozen occasions, I am rapidly coming to the conclusion that it is one of my favourite Pomerols from the vintage. Although on its day, the 1989 Clinet can outplay La Conseillante, the fact of the matter is that the latter is the more consistent Pomerol. Here, it has that beguiling bouquet of melted black fruit, sage, undergrowth and hints of bacon fat, like a wagging finger inviting you inside. The palate is smooth and harmonious, a mixture of red and black fruit that seem to revel on the precocity of the growing season, even though it was now 27 years ago. It is a voluminous, mouth-filling Pomerol, but not extravagant, flamboyant for sure and yet never betraying its roots. 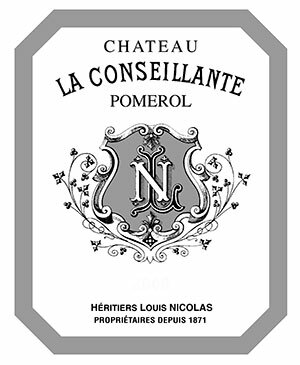 It's just a wonderful La Conseillante, a thoroughbred Pomerol that puts a smile on your face. Tasted January 2016.